Whether you're reading this because you know you drink too much and want to quit, or whether you just want to cut back for a while, this book is for you. 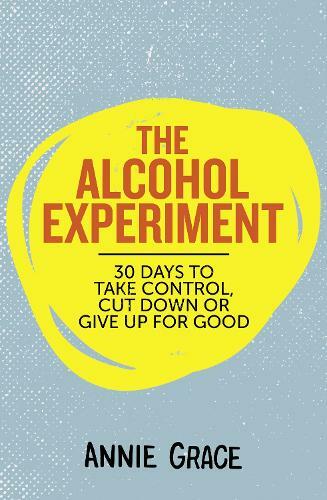 The Alcohol Experiment is a 30-day programme with a difference. Each day, it will show you a new way of thinking about booze, and ask you to look a little closer at why we drink, what we get out of it, and whether it's really the alcohol that's giving us what we want. In the bestselling This Naked Mind, Annie Grace offered a completely revolutionary solution to dependency, and a path to sobriety. Now, let Annie give you the tools you need to understand alcohol - whether or not it's a problem. Packed with humour, patience and the latest research, try The Alcohol Experiment today, and take control of your drinking for good.